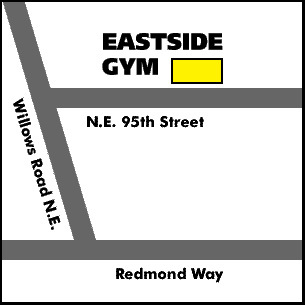 Eastside Gym of Redmond WA, is dedicated to body conditioning and weight training in an environment that promotes positive attitudes and personal development. Eastside is an independent gym, not a franchise, and is designed for true personal gains. Personal training is available. © Copyright 2019 Eastside Gym.